I noticed yesterday August 26th 2016 some unusual quake activity on the USGS Earthquake site after I had seen some odd behavior of Birds in the area I live in. Sure enough not far from Miami in the Islands was a cluster of small quakes. I then noticed a a major imbalance of larger quakes around the world for quakes over 5.5M. This led me to issue this SUPER QUAKE WARNING for the area I call the TRIANGLE OF FIRE which is the 3 Super Quake Lines in the Ring of Fire area where 95% of Super Quakes have struck since 1900. 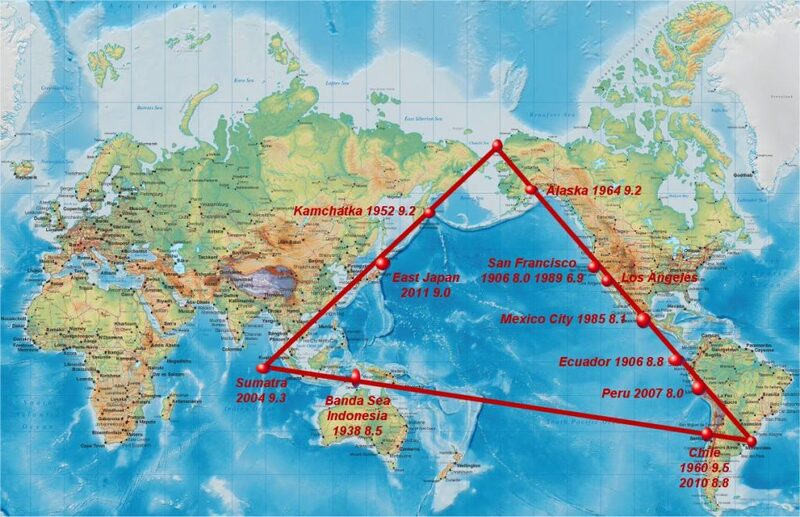 This is the map that shows the unusual activity and my Prophecy Song TRIANGLE OF FIRE has now been officially released to give the world THIS WARNING. 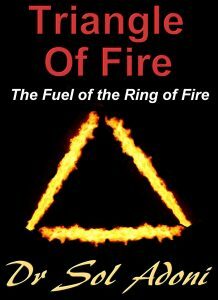 You can download my Book on EOE Theory that explains the Triangle of Fire Here. You can download my Prophecy Song Triangle of Fire Here. This is the Map of the Triangle of Fire showing major Quakes that have struck the 3 Lines.